​What’s in the future for Mosul? 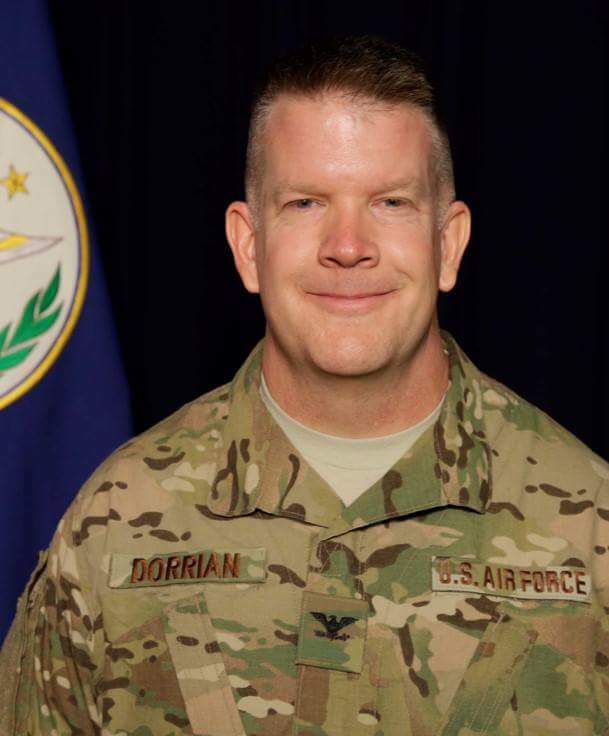 An interview with the Combined Joined Task Forces | Operation Inherent Resolve – Col. John L. Dorrian. Many have asked, since the beginning of Mosul Liberation Ops, about the role of the US-Led coalition in the operations. At first, there were some speculations about the US-Led coalition involvement in Operation Mosul Liberation, Until the former US secretary of Defense, Ashton Carter, announced the US forces will have a “Heavy integration” during the second phase of the Eastern Bank liberation operations. Yet, to many of our page’s followers, that answer was not clear. Due to various narratives on this matter, We, in Mosul Eye, gathered most of our followers’ questions in regards to mosul, its current situation and its future, and directed them to the Coalition main command, known as “Combined Joint Task Force – Operation Inherent Resolve”. We asked about the ongoing operations, the obstacles and achievements, the role either both the US and/or the international community will take to rebuild Mosul post-ISIL. We also asked about the displaced and if the coalition, with the cooperation of the Iraqi government, has any plans to accommodate for the displaced and their rehabilitation into Mosul post-ISIL. We also addressed the fears the Mosulis have about their city after ISIL, who will manage its matters, how the security of the city will be maintained, and the fear of ISIL coming back to the city in a different form. Mosul Eye – There are many official and media statements that are not quite clear in regards to the participation of the US-led coalition, US forces in particular, on the ground in Operation Mosul Liberation. We would like you to give us a clear picture about your participation in the battle for Mosul freedom on the ground and how that is important in accelerating the city’s liberation progress? Col. Dorrian – Coalition forces on the ground in Iraq are only in support roles. We have forces that are on the ground to train Iraqi and Peshmerga Security Forces. We also have forces who are conducting artillery strikes in support of the ISF advance. The strikes are always coordinated and approved in advance by the Iraqi Security Forces. We also have a small number of advisors who support Iraqi commanders who are coordinating the battle to liberate Mosul. These forces are not on the front lines; they remain with the Iraqi headquarters, usually well behind the front. Mosul Eye – Will the international coalition participate in rebuilding Mosul? Are there any particular projects in place to meet this purpose? Col. Dorrian – The current focus for the International Coalition is defeating Da’esh, but the Coalition and international community have conducted several donor conferences where hundreds of millions of dollars in aid have been pledged by nations all over the world. The Government of Iraq will coordinate the rebuilding of Mosul, with support from the International Community. For example, the U.S. State Department hired a contractor to remove explosive booby traps from Ramadi. The contractor removed more than 22,000 kilograms of explosives from the city, which is the important first step to enable people to return to their homes. These are the types of programs that will occur; although the Government of Iraq will be in the lead for such planning efforts. Mosul Eye – The issue with Mosul Dam start to surface again. Would you give us a clear picture about the issue? Does the coalition propose any suggestions or plans to resolve it? Col. Dorrian -The Iraqi Ministry of Water Resources continues to operate and maintain the dam, including conducting grouting operations to stabilize the dam foundation. It has a strong team of dedicated and capable professionals who have worked at the dam since its construction. The Government of Iraq has a deal with an Italian Engineering firm, Trevi, to make repairs to the Mosul Dam and improve its stability. Coalition engineers are working with the Iraqi Ministry of Water Resources, to provide technical advice on the current contract with Trevi Group. Mosul Eye – Many Mosulis are wondering about the airstrikes targeting ISIL targets in the city. Many of them were accurate and precise. Yet, some of them missed their targets, causing casualties among the civilians. What is your statement on that? Col. Dorrian -We take great care – from analysis of available intelligence to selection of the appropriate weapon to meet mission requirements – in order to minimize the risk of harm to non-combatants. Coalition airstrikes are the most precise in the history of warfare. Mitigating civilian casualties is a key component of the air campaign and that is why we use precision weapons. The Coalition has the ability to make precise strikes against ISIL targets while minimizing collateral damage on the ground and restricting freedom of movement for enemy ground forces. While regrettable, unfortunately, it is unrealistic to expect zero civilian casualties in armed conflict. In each instance, as a joint force, we apply lessons learned to reduce the likelihood of future occurrences. It is important to point out that the Coalition coordinates each and every strike with the Iraqi Security Forces before we conduct the operation. It’s also important to understand that Da’esh presents the greatest risk to civilians. They have purposely killed tens of thousands of people and driven millions from their homes. Mosul Eye – What is your comment on the nature of the relationship between the Iraqi forces, specifically the Golden Brigade, and the residents of Mosul? Col. Dorrian -The Golden brigade and other Iraqi Security Forces conducting the operation to liberate Mosul have taken tremendous care to protect the people of Mosul as they liberate the city. They have taken risks to their own lives in order to protect civilians from Da’esh atrocities, brutality and intimidation. Their bravery and commitment to the freedom of the people of Mosul is something that all Iraqis should be proud of. Mosul Eye – Is there any cooperation from Mosulis to liberate their city successfully? Col. Dorrian -Yes, Iraqi Security Forces have told me that the people of Mosul are cooperating with them as they advance, and they are being greeted with thanks in the neighborhoods they are liberating. As it becomes clear that Iraqi Security Forces will liberate the city, more and more people are cooperating. This is the natural progression since the people of Mosul have suffered for more than 2 years under brutal Da’esh control. Mosul Eye – ISIL mostly targets the civilians while they are shelling the Iraqi forces on the combat lines. Why there is no civil rescue teams available to accompany the Iraqi forces on the frontlines to rescue those civilians? Col. Dorrian -The Iraqi Security Forces are the rescue force for civilians in Mosul, and they have done an incredible job protecting civilians under very difficult circumstances. The enemy has created very dangerous conditions for civilians, but civilians can help the ISF reduce the risk by providing information to the Iraqi Security Forces, and by following their instructions and cooperating with them. Mosul Eye – Will there be any military or civil role for the coalition in Mosul post ISIL? Col. Dorrian -This is a matter for the Government of Iraq to determine. If the Government of Iraq would like coalition assistance and support, they will let us know what types of support are required, and the Coalition can make a determination if we can provide the support. The Coalition is currently training security forces to maintain security once Da’esh is defeated in Mosul, but that mission is ongoing and will take some time. Mosul Eye – The major fear the Mosulis have revolves around security, the fear of ISIL returning back to Mosul in a different form. Does the coalition have any plans or suggestions that help to put those fears to rest for the Mosulis? Col. Dorrian -The Coalition’s position is that we are here to help Iraq to give Da’esh a lasting defeat. To assure Da’esh can’t come back once they have been defeated, we are now training new Iraqi Police and Security Forces who will patrol neighborhoods that have been liberated to assure Da’esh can’t come back. Also, once Mosul is liberated we intend to support the Government of Iraqi as the ISF eliminate Da’esh from all other areas they now control. Mosul Eye – As the operations progress, the displacement of the residents of Mosul becomes more and more overwhelming. What are the plans the coalition is assisting in this regards? Col. Dorrian – One of the most important tasks is to defeat Da’esh in Mosul, because their presence in the city poses the greatest danger to the people living there. The International Coalition has been a steadfast supporter of Iraqi Security Forces who are fighting to liberate the city. The Government of Iraq has the lead for planning and coordinating support to internally displaced persons. The Coalition works in cooperation with the United Nations to provide international support for displaced people. Many nations contribute resources for rebuilding and the removal of explosives from the areas that have been liberated, so that people can return to their homes. Mosul Eye – Many displaced Mosulis, and residents as well, are yearning for their return to the city. How soon Mosul will be liberated? Col. Dorrian – It’s difficult to predict the exact time, but the Iraqi Security Forces are clearing the city as fast as they can. The Coalition is supporting their advance with air and artillery strikes to speed the advance as much as possible. It is difficult and dangerous work, and the enemy has implanted a lot of explosive booby traps which must also be removed. Mosul Eye – Displacement is the worst fate in the Mosulis’ mind due to their experiences. Does the coalition have in place plans to rehabilitate the displaced, whether at the displacement camps or after their return to Mosul? Col. Dorrian -The Government of Iraq has the lead for planning the care of those displaced by fighting in Iraq’s cities. The United Nations is arranging a variety of support for Mosulis to assure they have the resources they need during their displacement, and they are working with many nations to accept donations of resources to assist Iraqis in returning to their homes. Coalition nations have donated billions of dollars’ worth of resources to assist with this challenging problem. Mosul Eye – One of the issues the Mosulis are concerned about is ISIL families and ISIL children, where some families have some of their members become ISIL members against their families’ will. Does the coalition has a vision on how to tackle this issue, and assist those families to reintegrate into their community again? Col. Dorrian – The Government of Iraq will have the lead for addressing the needs of the families of ISIL members. The Coalition is partnered with the Government of Iraq to defeat ISIL, and we are currently focused on defeating this dangerous enemy before they do more harm in Iraq or in other nations around the world. Mosul Eye – Does the coalition have a plan in place for the captured ISIL members? What to do with them? Col. Dorrian – Iraqi Security Forces are the ones who will detain ISIL members when they are captured. The Coalition does not have a program for detaining ISIL members, because these fighters will be dealt with under Iraqi law. And our last question is: We would like for you to speak directly to the residents of Mosul. They are waiting for your clear position on the current operations to liberate Mosul. What do you have to say to them? Col. Dorrian – It’s important for the people of Mosul to know that there is an international coalition of 65 nations that has united to support Iraq in this country’s fight against ISIL. Mosul and all of the other areas that ISIL controls in Iraq will be liberated by Iraqi Security Forces, with support from the Coalition. We are committed to this mission, because we want all Iraqis to be free, and because ISIL’s brutal ideology cannot be allowed to spread further. Iraqi Security Forces have already liberated Falluja, Ramadi, Qayyarah, Sharqat and many other cities, towns and villages all over Iraq. They will also liberate Mosul. We are certain of this. Hello Mosul’eyes, and really happy to get some news, and what news! You jumped from the “historian” to the “journalist” skin with a great hability……Thanks for getting CLEAR answers directly from a US Army responsable, and letting us know about the “post-ISIS Mosul…….. Very informative thank you. I read yesterday that the Untied states has guaranteed a 1 billion dollar loan to the Iraqi government, will this money be used to rebuild Mosul? Iraq Will Never Find Peace. Historically: Sunnis vs. Shiites). IS Made Huge Mistakes In Their Structure. Thanks.